Who doesn’t love a good Caesar salad? One taste of this and you’ll be wondering why you never had eggs in it before now! A great twist on a classic. 1. Heat the oil in a frying pan. Add the cubes of bread and fry until golden, set aside. In the same pan add the rashers and cook until crispy, set aside. 2. To cook the eggs: Put the eggs in a saucepan and cover with cold water. Bring to the boil and cook for 3-6 minutes depending on how you want your eggs cooked – soft boiled or hard boiled. 3. Remove from the saucepan and put into a bowl of cold water, then when cold enough to handle peel and set aside. 4. For the dressing: Place the egg, chopped anchovies, mustard, lime juice and garlic in a food processor. Whiz to combine. 5. You can do this by hand if you prefer. Slowly add the oil a few drops at a time, while continuing to whiz until the mixture thickens, taste and season. 6. The dressing should have the consistency of unwhipped cream. If it is too thick, add a teaspoon of warm water. 7. Roughly tear the lettuce and place in a large mixing bowl. Add 4-5 tablespoons of the dressing and toss well to coat. 8. Add the croutons and bacon and toss again. Cut the boiled eggs into quarters. 9. Divide the salad into four serving bowls and top with boiled egg quarters. Grate on some cheese and serve immediately. 10. You will need only half this dressing, the rest can keep in the fridge for 1-2 days. World Egg Day is taking place on Friday 12th October and Bord Bia have developed a suite of nutritious and easy recipes to hero the egg. These recipes can be found at bordbia.ie/eggs. Eggs are known to be high in protein, meaning they are the perfect meal option for post work outs and exercise. They are quick and easy to make and provide fuel for our busy daily lives. Bord Bia is encouraging people to get ‘cracking’ and create some delicious and versatile eggs dishes, in the coming weeks. 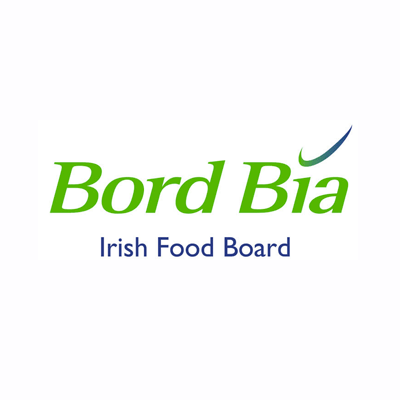 Remember to always look for the Bord Bia Quality Mark when purchasing eggs so that you know they have been produced to the highest Bord Bia quality standards and where they come from.